The match rests tomorrow. 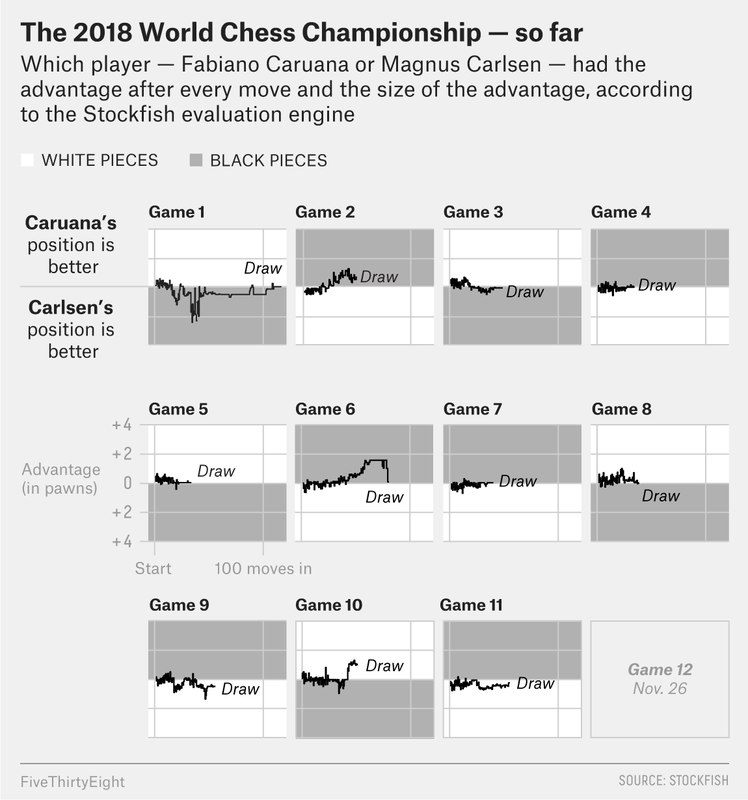 Game 12 — the final game of regulation and in which Caruana will have the white pieces — begins Monday at 10 a.m. Eastern. The tie-breaking games, if necessary, will happen on Wednesday. I’ll be covering it all here and on Twitter. CORRECTION (Nov. 26, 2018, 9:51 a.m.): A previous version of this article incorrectly listed when potential tie-breaking games would occur. They would happen on Wednesday, not Tuesday as listed on the match organizer’s website.